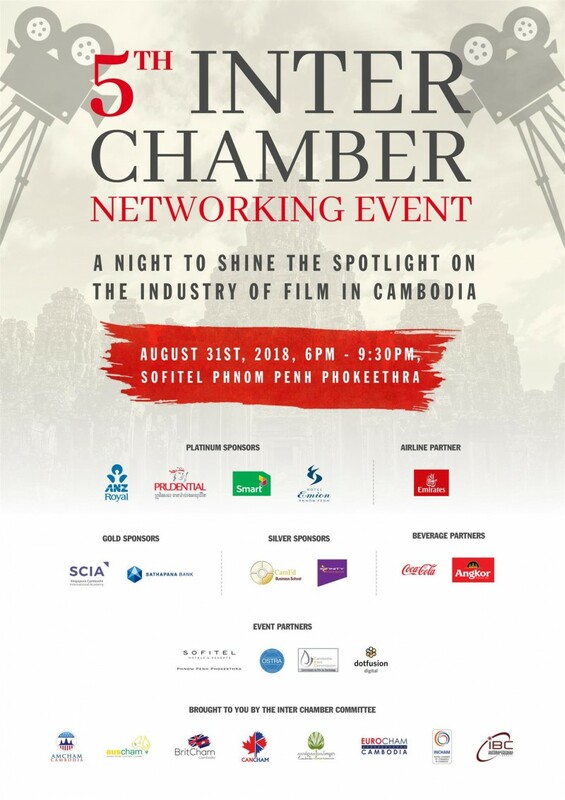 On the 31st of August, the InterChamber committee will be hosting its 5th InterChamber networking event at Sofitel Phnom Penh Phokeethra, an occasion to shine the spotlight on the industry of film in Cambodia. ﻿Come to enjoy an unforgettable evening of the finest food and wines while mingling with members from 8 chambers, as well as, many other professionals doing business throughout the Kingdom. Kindly be advised that this event is Cash Only and attendees will be able to pay at the venue. Please register through one Chamber only.